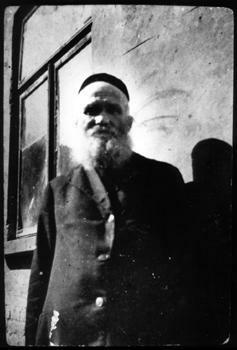 Holocaust Survivors: Photo Gallery - "Israel Vogel"
Israel Vogel was a dealer and manufacturer of religious articles. Oleszyce, the little town he lived in, was known as a manufacturing center for such articles. Pieces of parchment that were not suitable for torah scrolls were made into drumheads. He had a sideline in the music business.